As banks all over the world slash jobs, we ask ourselves – will this produce more streamline firms ready to generate significant profits, or a sign of the poor outlook for the sector? Unfortunately, stifling regulation repressive and a false bubble has driven this move and severe headwinds remain through exposure to struggling economies and substantial funding needs. The 50 largest banks around the world have announced almost 60,000 job cuts. UBS are laying off 5.3% of their workforce, blaming stricter capital requirements and slowdown in client trading activity; Credit Suisse cutting jobs by 4% to save SFr1bn and Lloyds a whopping 14%. Stricter capital requirements were just the type of new regulatory measures the Chief Executive of Standard Chartered feared at Davos back in January, would “stifle growth”. At this time we saw banks such as Credit Suisse missing earnings targets and downgrade their expectations severely going forward (from above 18% return on equity to 15%, which turned out to still be too high). UBS has seen costs in their investment banking division soar to 77% of income and net profit fall almost 50% from a year earlier. Stricter capital requirements mean banks have to hold a higher amount of capital in order to honour withdrawals if hit with operating losses. Furthermore, restrictions on bonuses led to increases in fixed salaries and an inflexible cost base. Job cuts should also be set within the context of occurring after a ‘false bubble’. Post the 2008 financial crisis and bank bankruptcies and proprietary trading layoffs, the fixed income, currency and commodity business of the remaining players boomed as competition dropped. Banks began expanding. UBS’s proposed cuts of 3,500 jobs comes after an expansion of 1,700 to the workforce and incomparable to the 18,500 job losses experienced during the crisis. 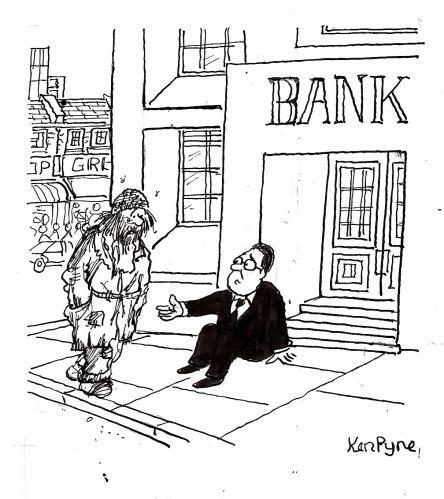 Crucially, these cuts do nothing to solve the biggest problem these banks are struggling with. They have substantial exposure to struggling EU economies. In Germany, bank exposure to the PIIGS (Portugal, Italy, Ireland and Spain) amounts to more than 18% of the countries GDP. Just last month Commerzbank suffered a €760m write-down from holding debt that is unlikely to be repaid, which all but wiped out their entire earnings for the second quarter of the year. Further fuelling fear of the spread of the crisis from periphery to core is that French banks are among the largest holders of Greek debt. Here in the UK we’re by no means immune. Our banks have £100bn connected to the fate of these periphery economies. RBS, 83% owned by the British taxpayer is so heavily exposed to Greek debt that it has written off £733m so far this year. 90 EU banks need to roll €5.4tn over the next 24 months. This will be funded at higher rates and with disappearing demand as investors become more wary, exacerbating the problem. In addition these banks need to raise an extra $100bn by the end of the year. An inability to borrow to satisfy current obligations, not withstanding any expansive moves, is a serious obstacle to profit generation. Moreover, job cuts do nothing to boost confidence to encourage banks to lend. Just two weeks ago, EU banks deposited €107bn with the European Central Bank overnight than lend to each other. If banks are not even lending to each other, losing out on a valuable opportunity to make money, then how encouraged are we as investors to get involved?